Why Install A Sump System? 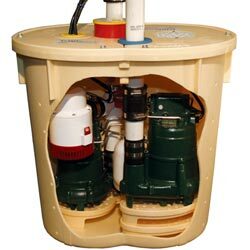 We have specialized sump pumps for many different scenarios -- including our basement sump pumps, crawl space systems, and battery backup pumps. Our waterproofing systems are award-winning, patented, and are installed with a full written warranty. Most homeowners keep a lot of valuable things in their basement and crawl spaces -- including their washer, dryer, utilities, and various stored objects. It only takes a relatively small flood to mean significant and widespread damage to everything stored within. At Basement Systems, we maintain a full Research And Development Department that's dedicated to making sure that each our products are on the cutting edge of quality, reliability, and performance. 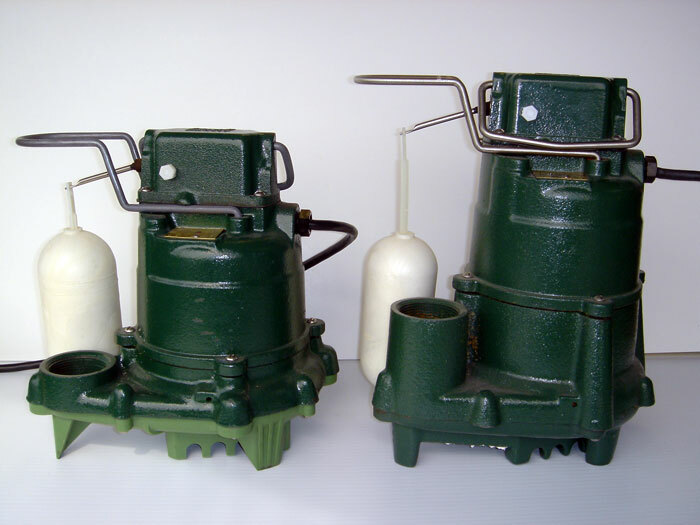 Our sump pump systems are the product of more than two decades of development, and have been used to successfully waterproof hundreds of thousands of basements and crawl spaces throughout North America and Europe. Our experts can install a complete sump pump system in your home quickly -- most often in 1-2 days. Each of our local Basement Systems Dealers provides free, written cost quotes to homeowners within their service area. To get in touch with your local dealer to schedule an appointment, contact us today! Our free quotes include an on-site inspection and measurement, a professional consultation where we answer any questions you may have, and a customized cost quote we create with you, provided in writing. As an additional courtesy, we'll also mail along a full-color copy of our informative basement or crawl space book before our scheduled appointment. 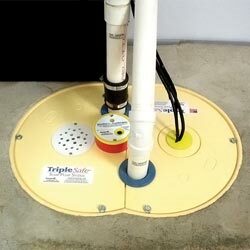 A sump pump system is a purchase where you won't want to cut any corners! The difference between a reliable system and one you can't count on is as large as the difference between your basement being a floor's worth of dry, usable space and one that floods. A noisy sump pump can be a major hassle for a homeowner -- one that can mean intermittent noise from the basement for years to come. We lock our sump pump away in a sealed sump pump liner -- where it's submerged in water during operation. Rubber grommets around pipes absorb moisture, while also keeping any pump operation noise to a minimum. At avoid noise from water rushing through the discharge line, we use large, wide-open pipes that keep water pressure to a minimum. They discharge line is installed with minimal 90° angles -- which can be a major point of water-movement noise within the discharge pipe. Sump pump liners that are installed with no lid allow humidity and unpleasant odors to rise out of the sump pit and into your home. This open pit also creates a minor tripping hazard that can lead to injury. 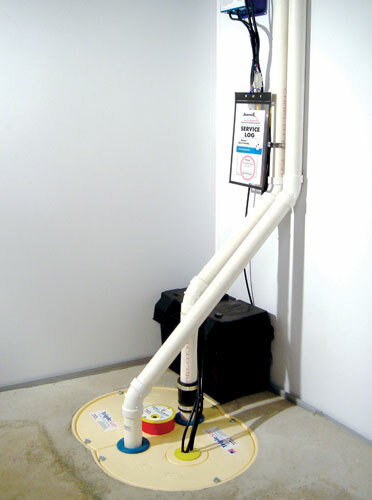 Our sump pump system includes an airtight lid that keeps humidity and odors where they belong. 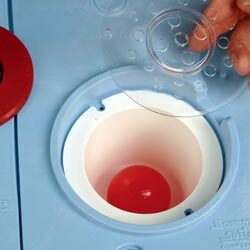 Rubber grommets around all pipe and wire penetrations seal the lid tight. 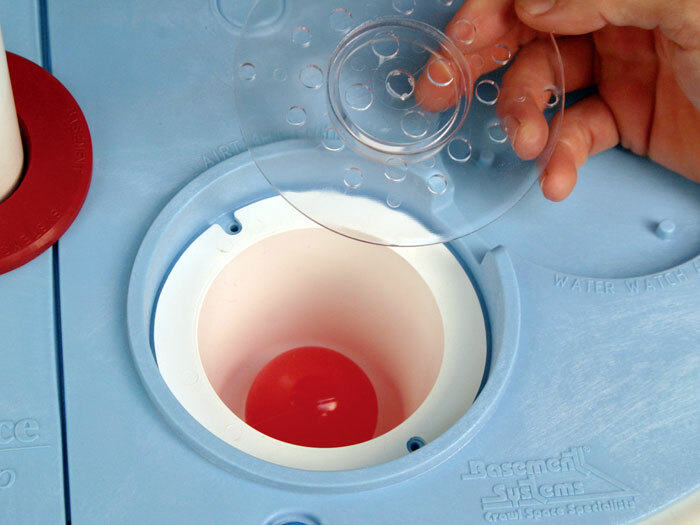 An innovative "ball and cup" floor drain enables your system to drain water from plumbing leaks while still maintaining the airtight seal of the lid. As water enters the drain, the ball floats, and the drain is opened. As the water drains away, the ball settles back to the bottom of the drain, sealing it again. 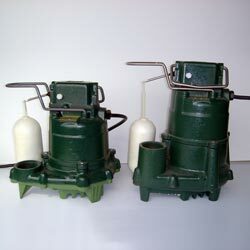 At Basement Systems, we do not manufacture sump pumps. This gives us the freedom to research and select the best, most reliable systems in the business --which we've found to be Zoeller Sump Pumps. The cast-iron, submersible design of the pump helps the motor to disperse heat into the water around it. 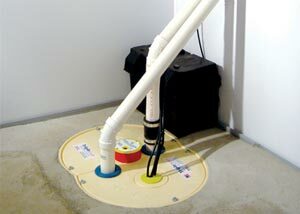 This helps to avoid overheating of the system -- a major cause of sump pump failure. Our systems include a screenless, clog-resistant design that's able to pass 1/2" solids through without incident. A plastic pump stand raises the pump off the bottom of the liner, where debris is known to collect. 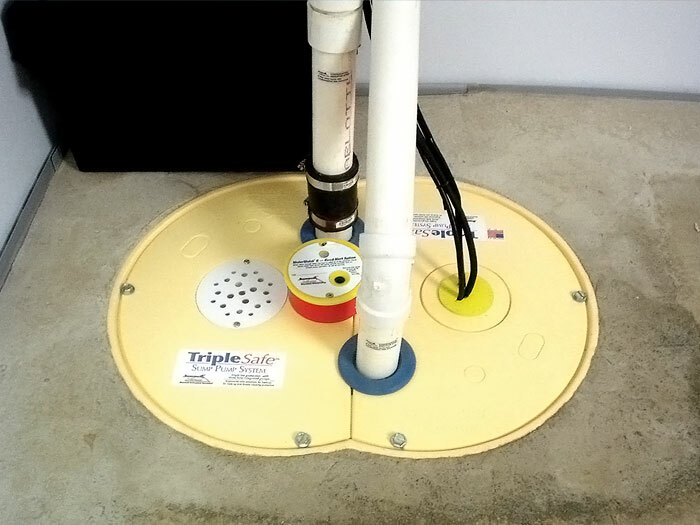 Our TripleSafe ™ Sump Pump System is designed to include a 1/3HP primary pump, a powerful 1/2HP secondary pump, and a battery backup system. If your primary sump pump becomes overwhelmed by heavy flooding or fails for any reason, the secondary sump pump is ready to turn on and give you the boost you need. If your system loses power, our UltraSump® Battery Backup System keeps you going until the power returns (up to 12,000 gallons!). Additionally, each system comes with a water alarm, which will sound off if the water level rises too high. And to protect you from freezing discharge lines, our IceGuard® Flood Protection is provided to give water a second way to exit out of your home. 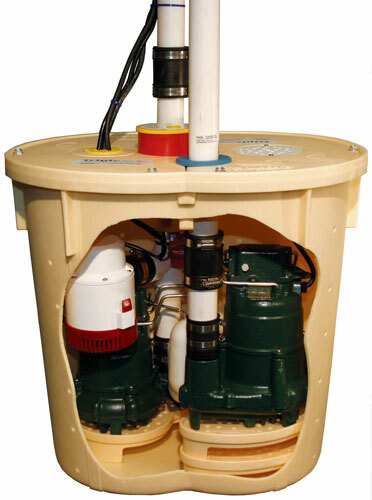 We Can Install A Quality Sump Pump System In Your Home! We'd like to bring you the award-winning products and services that have already been successfully used in homes worldwide! The Basement Systems Network extends to almost every area in Canada, the United States, and the United Kingdom. It costs you nothing to have your local dealer visit your home! We can inspect and measure your basement or crawl space, answer any questions you may have, and work with you to create a customized sump pump system quote!